We pamper our guests with taste and elegance. The real luxury is having time to fulfil one's own wishes. 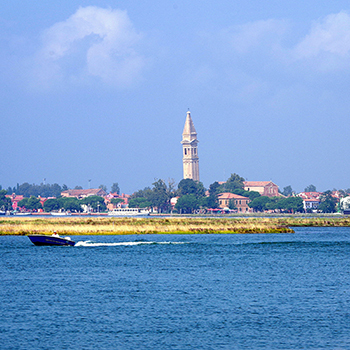 Our tour in Burano is an exclusive and unforgettable experience. 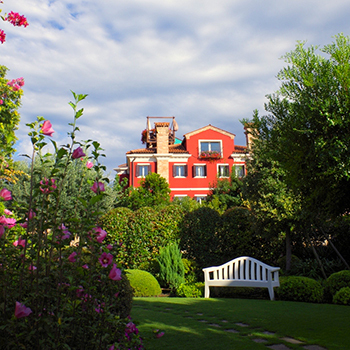 A garden keeper of intimate secrets and exciting atmospheres. 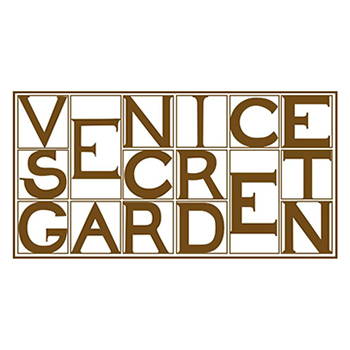 VENICE SECRET GARDEN with headquarters in Burano, one of the islands north of Venice, is an ideal location for exclusive events, meetings and photo shoots. SECRET GARDEN is annexed to Atelier “Martina Vidal Venezia”- Home Linen Collections – at “Palazzo dei Pittori” that, starting from the1900s, was a meeting place and place of inspiration for many artists of the Venetian pictorial school. An oasis of peace and discretion in an island famous for its coloured houses and embellished laces, a sophisticated and elegant atmosphere that together with the splendid garden is the perfect location for an unforgettable day.